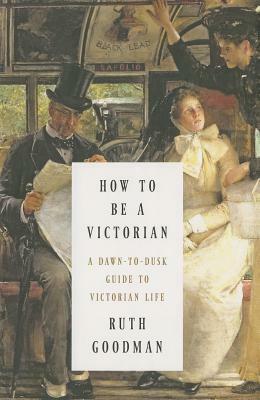 If you've ever wondered what life was really like in Victorian times, look no farther than this detailed guide by historian Ruth Goodman. Taking the reader chronologically through the day, it begins with waking up in a very cold room and moves through grooming, exercise, breakfast and continues until concluding with bedtime. Each chapter is a thorough examination of its subject, including the differences between social classes, and answers many questions you may have if your only exposure to this period is from novels. I found just about everything in this book interesting, but a few things stood out to me. For instance, the clothing in this period was made out of heavy fabrics very different from what we wear today, which you can't tell from pictures of the era's fashions. It makes sense given how cold people's houses were, something that I do not envy them. The chapter on personal grooming included some advice on behaviors that could "destroy a girl's looks, such as staying up late, playing cards, reading novels by candlelight and any outward display of surliness." In the same chapter, I learned that the rare use of cosmetics meant that a poor girl could just as easily live up to beauty standards as a wealthy one and, in fact, a rural working-glass girl was more likely to be held up as an example of beauty. When reading about leisure pastimes, I was surprised to learn that gardening was most popular among urban working-class men, and for one particular flower show most of the organizers were miners. Practical constraints had a wider influence than you might think. For instance, the type of fuel available for cooking was an important determinant in the food cooked. In areas where people cooked with peat fires, the low smoldering heat was great for porridge and oat cakes. Those same foods would have been burnt to bits with the intense heat from a coal fire. In a similar vein, doing laundry was a complicated labor-intensive process that took a very long time and hogged the stove so no meals could be cooked at the time because it was being employed in heating water. The household would essentially be upended while laundry was being done. The author credits the invention of the washing machine with a large role in women's liberation, which makes a lot of sense when you look at how laundry had to be done previously. It was exhausting just to read about. Sometimes I wished there were more illustrations, especially in the chapters about clothing, because prose descriptions aren't always enough to really visualize what she is talking about. But I realize that more illustrations make books longer and more expensive to produce so that's a minor quibble, and I found the illustrations and photos included very helpful. I got a bit bogged down late in the book and though I initially thought it was because of the length (though 440 pages isn't a lot for something this detailed) I realize it was probably just because I was reading about sports at the time. Mostly I was quite rapt, thirstily drinking in everything I could about this era that I find so fascinating (most of which I am sure to forget later.) At times, I found the simplicity of certain aspects of Victorian life appealing, but mostly I enjoy my indoor plumbing and right to vote.